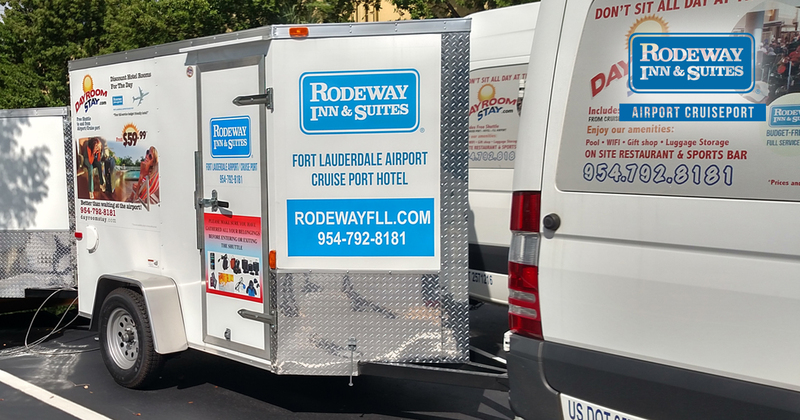 Rodeway Inn & Suites – Fort Lauderdale Airport & Cruise Port, a budget-friendly, full-service cruise hotel near Fort Lauderdale Port Everglades Cruise Port and near the Fort Lauderdale/Hollywood International Airport (FLL), is doing its part to assist the victims of Hurricane Harvey by offering free parking and transportation to First Responders headed to Houston. To help, Rodeway Inn & Suites – Fort Lauderdale Airport & Port Everglades Cruise Port announced that First Responders leaving for Texas from the Fort Lauderdale/Hollywood International Airport (FLL) are welcome to park in the hotel’s long-term parking lot free of charge, and utilize the hotel’s in-house shuttle transportation fleet to get to and from the airport, also free of charge. In addition being the hotel’s General Manager, Izzy is also a member of Hollywood, FL CERT, the Community Emergency Response Team, a program that educates local volunteers on disaster preparedness. Amenities include complimentary breakfast, heated outdoor pool, whirlpool tub suites, tour packages, tropical garden, guest business center, fitness center, Wi-Fi, a full-service Forgot Something gift shop and dining at the Marina 84 Sports Bar & Grill. 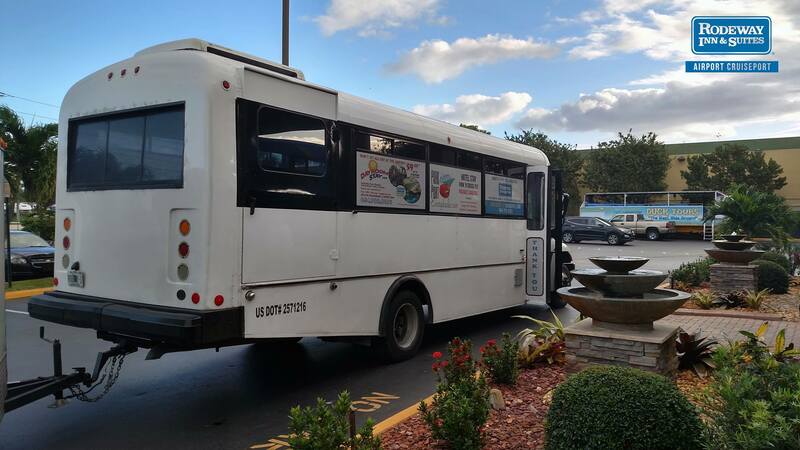 All Rodeway Inn shuttle pick-ups, drop-offs and guest reservations are managed via the cruise hotel’s integrated web-based proprietary fleet and parking management system, ShuttleQ.com. For more information on Rodeway Inn & Suites, visit http://www.hotelftlauderdale.net or follow the hotel on Facebook. 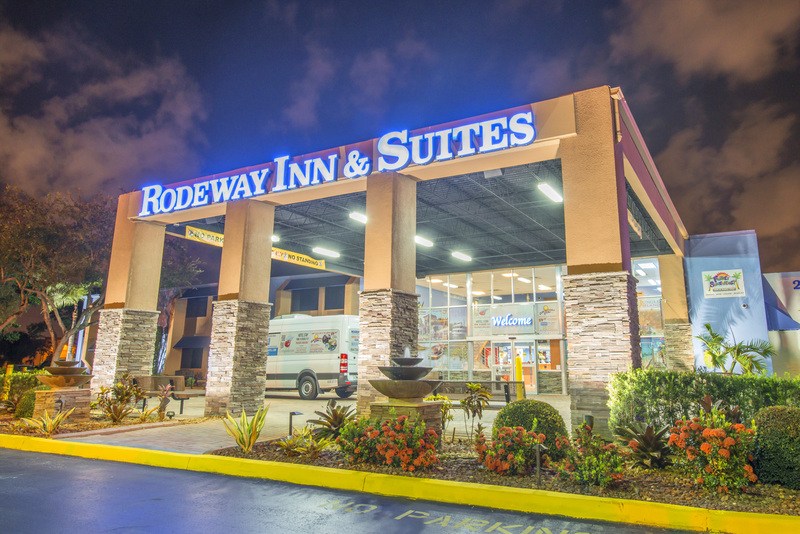 Rodeway Inn & Suites Fort Lauderdale is a member of Choice Hotels International, Inc.® (NYSE: CHH). This entry was posted in Uncategorized and tagged Cruise Hotel, First Responders, Free Parking, Free Shuttle, Free Transportation, Hurricane Harvey, Texas. Bookmark the permalink.